Miss out on December's El Gordo jackpot? Luckily for you we have another massive Spanish lotto jackpot ready to be won! Meet El Niño – The Spanish Christmas lottery's little brother, complete with its €630 million prize pool. Read on to discover the origins of El Niño, how it works and how you can win with Lottoland! In Spanish the term El Niño means the child, which is why this lottery is often referred to as the 'little brother' of the famous Christmas Lottery, aka El Gordo. The date of the draw, set on January 6th, or Little Christmas, is also significant. In Spain it is traditionally on this day, not Christmas Day, when children are given gifts, commemorating the gifts that the Three Wise Men brought to the most important El Niño in Christendom, Baby Jesus. In Spain many people like to "reinvest" any small wins they had on the El Gordo draw in the El Niño draw, for one final chance at a big Christmas win. In terms of format, El Niño is a raffle style draw with numbers ranging from 00000 to 99999, much like the Spanish Christmas Lottery. Some Spanish lottery enthusiasts have been known to drive for many hundreds of miles to grab a ticket with the right numbers, however at Lottoland we've made things a whole lot simpler! Betting on El Niño is easy, simply just follow these simple steps and you could be in with a chance of claiming your share of the €630 million jackpot! ► Go to our El Niño lottery page. ► Select your five numbers by using the up and down arrows. ► Use the dropdown menu to choose what size bet share you wish to purchase from one of the seven available options. ► Finalise your bet by clicking the Confirm and proceed button. Of course by now you're probably wondering what all this "bet share" business is about, so let's look at that next. Much like the Spanish Christmas Lottery draw, El Niño tickets are distributed in a raffle style format, with numbers ranging from 00000 to 99999. In addition, numerous series of these tickets are printed, meaning multiple players can end up winning identical jackpot amounts. Take a look at this screengrab of our El Niño 'ticket'. 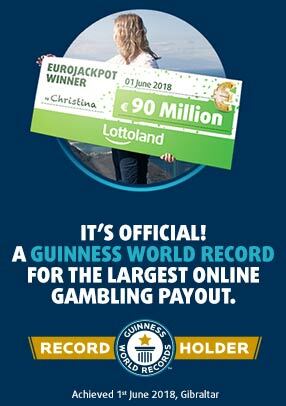 You'll see that a 1/1 share costs a whopping €249.99 – a fair bit more than your weekly Lotto ticket, yeah? So let's put it in context. First off, for €249.99 you get the lions share of any winnings, though traditionally El Niño (and El Gordo) lines are bought in smaller amounts. What usually happens is that families and friends group together buying ticket shares, which then adds up to the full amount. So they share the price of a full ticket between them, and also end up sharing any wins. At Lottoland we are not selling actual tickets, but you can choose which bet share you want to go for instead. So you see, comparing lotteries like El Niño and El Gordo to your weekly Lotto or EuroMillions is like comparing apples and pears. El Niño, like El Gordo are specifically designed to spread wealth around, not just make one person super rich. It's a great change from traditional formats, and one of the reasons that they're so popular here at Lottoland. With the festive frenzy over and waistbands struggling, the New Year can often be a bit flat. El Niño is just the thing to get you through that post-New Year's lull. With €630 million to be won you won't want to miss out on placing a bet on the outcome of the amazing El Niño lottery, so pick your numbers today! Good luck and a very happy New Year to you all!